As part of an effort to reinvigorate the Child Friendly Cities Initiative (CFCI) at the global level, UNICEF has launched a new CFCI website and the UNICEF Child Friendly Cities and Communities Handbook. Building on over 20 years of the Child Friendly Cities experience, the website and Handbook underline the importance of respecting and realizing children’s rights in the development of cities and communities. With more than half of the world’s children living in cities, now more than ever, is the time to call on local leaders and the stakeholders they work with to take action for children, especially the most vulnerable. 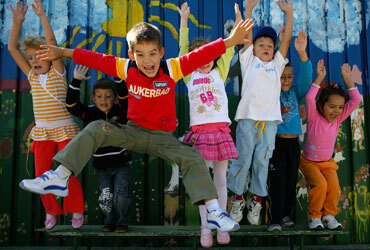 The new Child Friendly Cities Initiative website profiles UNICEF-supported Child Friendly Cities Initiatives around the world and provides guidance, resources and examples to help local governments as well as other stakeholders including civil society, the private sector, media, academia and children themselves build better cities and communities for children. The Handbook provides guidance on how to establish a CFCI to help cities do better for children within their jurisdictions. It focuses on professionalizing and streamlining the CFCI globally while leaving adequate room for adaptation to local contexts, structures, priorities and needs. It emphasizes the importance of measuring and demonstrating the change that the CFCI brings to the lives of children and youth.